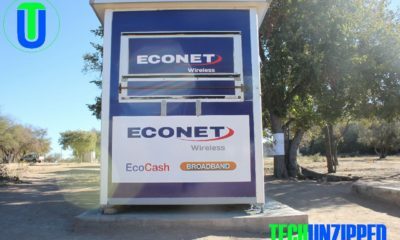 Econet Wireless Zimbabwe maintained its leading market position with over 50% customer market share of the mobile industry, and 78% revenue market share ahead of its two main competitors NetOne and Telecel. According to the Postal and Telecommunications Regulatory Authority of Zimbabwe (Potraz)’s latest industry report for the second quarter (Q2) of 2017, the mobile industry grew by 3% in the quarter (or by $5,8 million) from Q1, with the growth primarily driven by Econet, which contributed 69% (or $4,3million) of the $5,8 million growth. NetOne recorded a $1,7 million revenue growth in the quarter, while Telecel’s revenue declined by $0,3 million in Q2 of 2017. Potraz releases a quarterly telecom report showing the sector’s performance. The Q2 report revealed a marginal 3% mobile growth in. telecom industry dominated by the three mobile network operators (MNOs) Econet, NetOne, and Telecel. 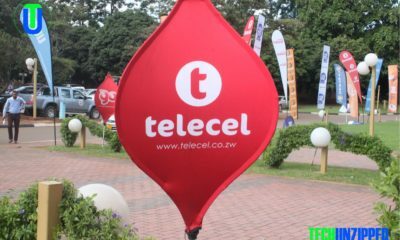 Both NetOne and, recently Telecel, are now controlled by the government following Telecel’s 60% takeover by the government through its state-owned entity Zarnet. Zarnet paid $30 million for Telecel through a deal facilitated by NSSA, which made the payment on its behalf to Netherlands-based VimpelCom, which controlled a majority stake in Telecel. The Potraz report showed that Econet recorded a revenue market share of 78% in the second quarter, a revenue growth of 27% (or $30m) in comparison to the same period (Q2) in the prior year of 2016. By comparison, NetOne’s revenue declined in the same period, between Q2 of 2016 and Q2 of 2017, by 13% (or by $3.9 million) and, similarly, Telecel’s revenues declined over the same by 14% (or $2.4m). However, NetOne recorded marginal growth in revenue market share quarter-on-quarter (from Q1 to Q2 of 2017) of half a percentage point (0,5%), to close Q2 at 14%, up from 13,5% in Q1. This was at the expense of Telecel, which suffered a revenue market share drop of 0,4%, from 8,5% share in Q1, down to 8,1% in Q2. Potraz’s Q2 report further confirmed Econet’s continued leading customer market share position, with the listed mobile network operator (MNO) growing its share of customers from 49,2% in Q1 of 2017, to 50,2% share of the total mobile market at the expense of both of its peers, NetOne and Telecel – who both lost 0,4% and 0,2% market share respectively, to close Q2 at 36,4% (NetOne) and 13,4% (Telecel). The sector report also underlined Econet’s stranglehold on the mobile money market in Zimbabwe, where its popular Ecocash mobile transacting platform continued to enjoy a 98% share of the market. On the data front, the report revealed a total, industry, quarter-on-quarter mobile data traffic growth of 15.8%, or a 352 Terabyte (TB) growth, driven by a 16% growth (or 315 TB) in traffic by Econet Wireless. NetOne’s data traffic declined quarter-on-quarter by 1% (or 6 TB) in Q2 of 2017, while Telecel recorded a data traffic increase of 43 TB in the second quarter of 2017. On the Average Revenue Per User (ARPU), a key ratio that telecom investors use to assess the viability of an MNO, Econet maintained a clear lead, maintaining an ARPU upwards of $7, at $7,22 average revenue per customer, compared to NetOne’s $1,79 and Telecel’s $2,80 average revenue per customer.